MSI has been known for releasing all-in-one (AIO) computers on a regular basis but most of these models have been designed for office work. Now the Taiwanese company has covered the gaming market with an AIO computer as well by releasing the Gaming 27 all-in-one desktop computer. The new device features powerful hardware inside and is based around a 27-inch display that works at Full HD resolution. The Gaming 27 houses a powerful 6th generation Intel Core i7-6700 quad-core Skylake processor with Hyper-Threading technology. The machine can also house up to 64 GB of DDR4 memory that will provide enough capacity for all current and future games. In addition, in order to run 3D games in all their glory the computer is equipped with a fast GeForce GTX 980M video card with 8 GB of GDDR5 memory. The computer also has various connectivity options such as a HDMI port that allows users to connect the computer to a gaming console, Killer E2400 Ethernet and Killer Wireless-AC 1535 Wi-Fi for a connection with no wires attached. Users can get an optical drive as well – there’s a choice between a Super-Multi DVD drive and a Blu-ray writer. Finally the Gaming 27AIO desktop computer has support for one 3.5-inch hard drive and two M.2 PCI-E solid-state drives. 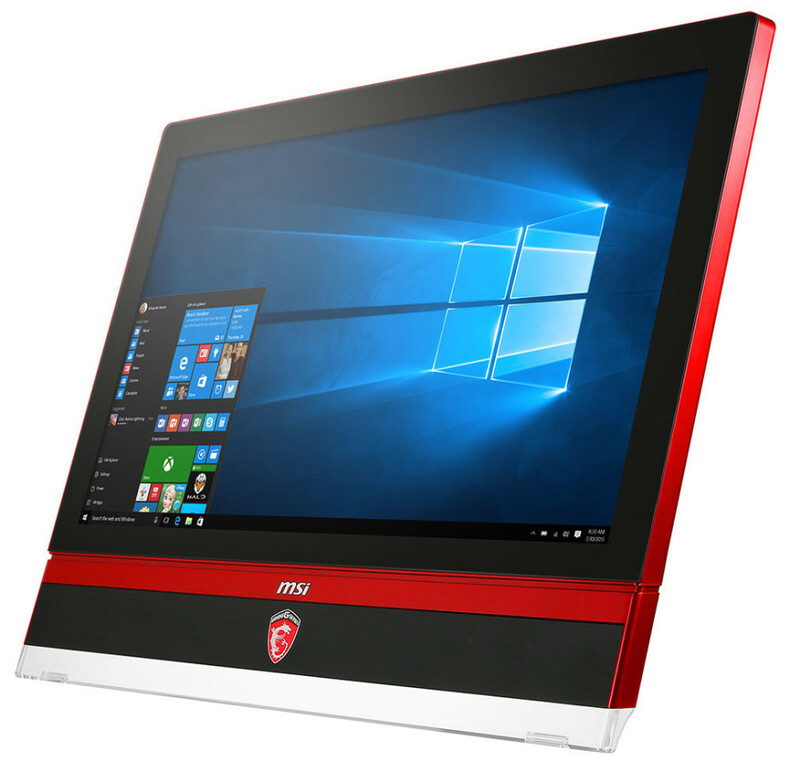 The new MSI AIO computer runs Windows 10. MSI has not disclosed any details on pricing and availability but we suspect that the Gaming 27 will be on the market very soon. The computer will likely be expensive, given what it offers.